Digital photos, mp3 and video files have become a part of our daily life. Almost everyone has these kinds of files saved on their computers. With the prevailing use of digital multimedia, we are now seeking for better and more convenient ways to enjoy the digital media contents than simply play them on the computer. From playing mp3 files on computer directly, to using mp3 players like iPod, and the widespread of DMP (Digital Media Player), digital lifestyle has become more and more splendid. This article will introduce how QNAP Turbo Station performs as a media center to connect digital home. The example we use is iTunes Server. Make sure you have connected a PC and Turbo Station to the same LAN. 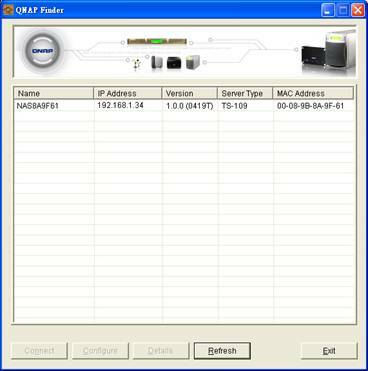 Execute QNAP Finder (the configuration utility provided by QNAP) to find your QNAP Turbo Station in LAN or enter http://Turbo Station IP:8080/ (8080 is the default configuration port of TS-109 series, for TS-101, TS-201 or TS-100 please use port 6000) in the web browser directly to enter Turbo Station’s administration page. Click Administration to enter the administration page. The server will pop up a window and prompt for user name and password. (TS-109 and TS-209’s default user name: admin, password: admin; TS-101, TS-201 and TS-100’s default user name and password are administrator: admin). Enter Multimedia Station page. Check the boxes “Enable Multimedia Station” and “Enable iTunes Services”. Then click Apply. After activating the functions, the files on Qmultimedia folder of Turbo Station will be shared immediately. You can then use iTunes to access the mp3 files on Turbo Station. Select to enable iTunes Server and click Apply. 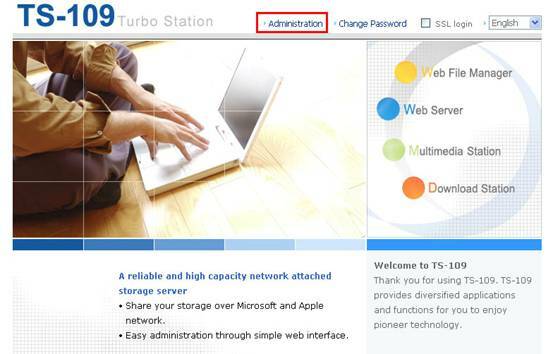 Turbo Station iTunes Server will be activated immediately! Move the mp3 files to Qmultimedia folder of Turbo Station by My Network Places in Windows or FTP. These files will be shared by Turbo Station on the network. iTunes should be familiar to all Apple iPod users. 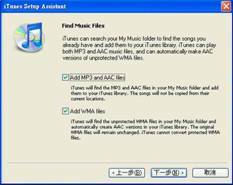 It is a music playing software which supports file conversion and music selection used on iPod. You can download this software on Apple website for free. 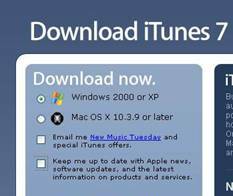 Click Free Download and select the correct version of iTunes (Windows or Mac). The iTunes Setup Assistant will show up. Follow the instructions to finish installation. 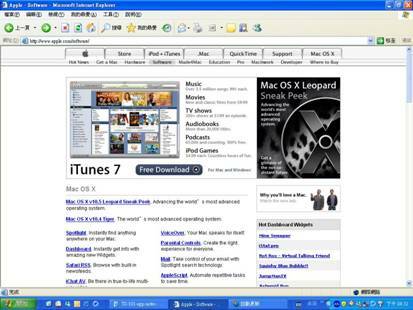 After successful installation, you can view the iTunes interface. 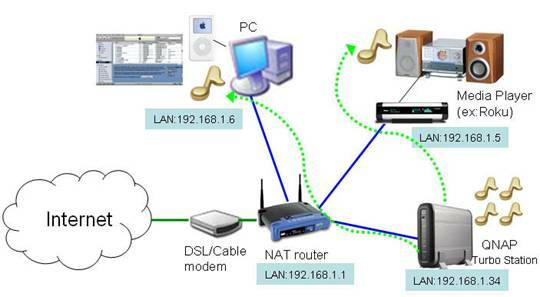 Connect the computer and Turbo Station to the same LAN (as shown in the above illustration). An option “SHARED-My-NAS” (My-NAS is the server name of the Turbo Station) will appear on the left of iTunes interface automatically. 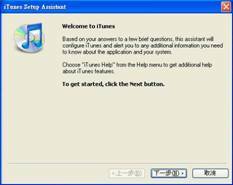 This option is shown as iTunes is installed on your computer. It will find the iTunes Server of Turbo Station on the network. Click into the option, the music files on Turbo Station will be shown. This function is very useful. You can save the mp3 files on Turbo Station instead of different computers at home, and then play the files on Turbo Station by iTunes player by any computer in streaming way. Also, you can select the music files on Turbo Station and export to your iPod. Digital Media Player devices e.g. Roku’s Sound Bridge, have become increasingly popular recently. Some of these devices start to support music playing by iTunes on the network. You can use these devices to play the mp3 files on Turbo Station without turning on the computer. 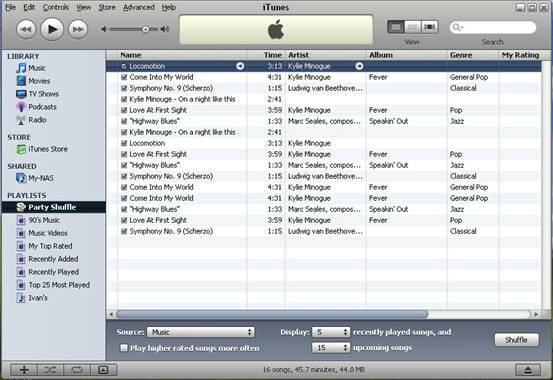 With the iTunes Server provided by Turbo Station, you can save mp3 files collectively and share the files on LAN. You can play the files by iTunes installed on any computer. Moreover, Turbo Station’s energy-saving, fanless, and aluminum alloy case design enable absolutely silent and stable performance. It is an ideal choice for home and small office.